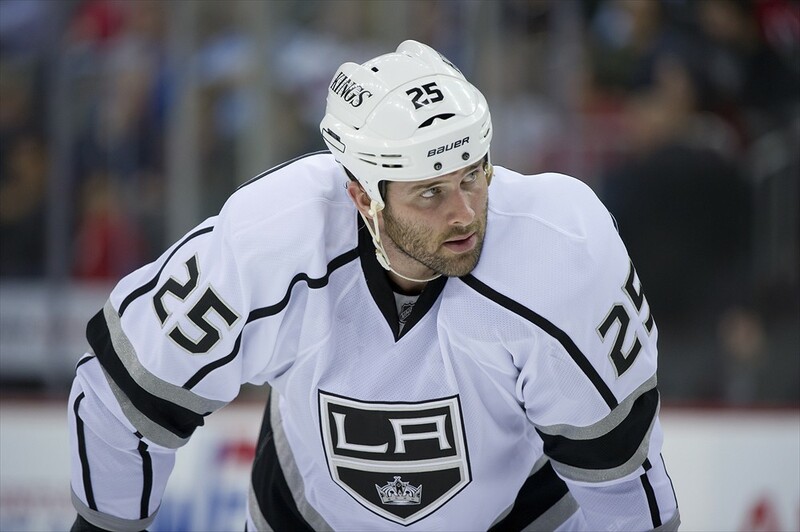 Anaheim Ducks: Will Dustin Penner Pan Out? 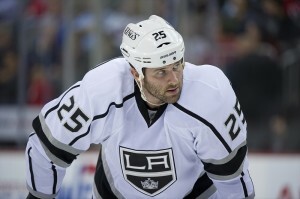 If someone had asked me in the past, “What if Dustin Penner came back to the Anaheim Ducks? How would you feel?” I probably would’ve told them to never utter the word “Penner” again and then add that it would never happen. My grudge against Penner started the day he left Anaheim and it became an even bigger exacerbation the moment he turned to the dark side and became a Los Angeles King. I had written him off completely by then. And good thing I had because, for the most part, he was a disappointment to the LA fan base who did not think he was worth the $4.25 price tag and the 1st and conditional draft picks that it had cost them. They were right. His number hit an all-time low with the Kings. He was also the brunt of many jokes after he missed some time due to an injury he suffered while reaching for pancakes. During the regular season, Penner was almost nonexistent in his black and purple gear. It wasn’t until the ’11-’12 playoffs that he began to show the potential that Ducks’ fans could recollect. Though he was 7th on the team in points with 11 during the ’12 postseason, it was his timing that spoke volumes and helped him gain the acceptance of LA’s beloved fans. It was his Game 5, game-winning goal in overtime that helped oust the Phoenix Coyotes in the Western Conference Finals and led the Kings to their first Finals appearance since ’93 where they went on to win their first Stanley Cup in franchise history. So on July 16th when Penner signed a $2 million, one year contract with Anaheim, I had to reasses my stance on the guy. This is now the logic I see while wearing my orange colored glasses. Penner left Anaheim after he had won the Cup with them in ’07. The Oilers’ general manager Kevin Lowe offered Penner – the restricted free agent – a five-year, $21.25 million contract. The Ducks had to counter offer it and Brian Burke wouldn’t, so Penner had no choice but to go to Edmonton. Penner appeared to have dealt with the pressures of playing for a Canadian team that was in the midst of rebuilding just fine – scoring a team-high 23 goals in his first year as an Edmonton Oiler. He averaged 26 goals and 23 assists per season in his four years as an Oil and I’m perfectly content with that considering the team he was playing for. Ultimately, Penner has had many ups and downs and even some ha-ha’s during his eight years in the league. He has shown that his 6’4”, 242 lb frame on the ice and parked out in front of the net can be a threat, and during his two Cup championships he has proven that he can step-up in crucial moments. It was the memories I have of him playing alongside Ryan Getzlaf and Corey Perry that keep me tuned in. That line, also known as “PPG” or the “Kid Line” held a combined 147 points during their sophomore year; Penner tallied 45 of them. Their chemistry was irrepressible. I can only hope the experience that the three have gained over the past six seasons can help evolve this trio into what it used to be. If not, $2 million for a season isn’t bad. If he doesn’t pan out then Duck fans can finally wipe their hands clean of Mr. Penner. No more what if.